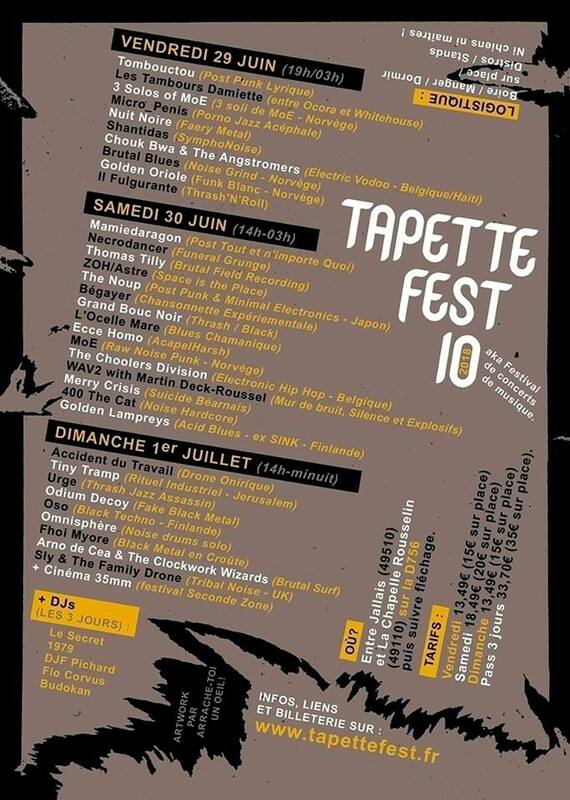 Nuit Noire will play at Tapette Fest 2018! New album "Sa Majesté La Nuit"
It was recorded in 2016, the drums were made in the underground parking lot of a commercial center, the guitars in the house of my parents, and the voice in the middle of a wood at night. 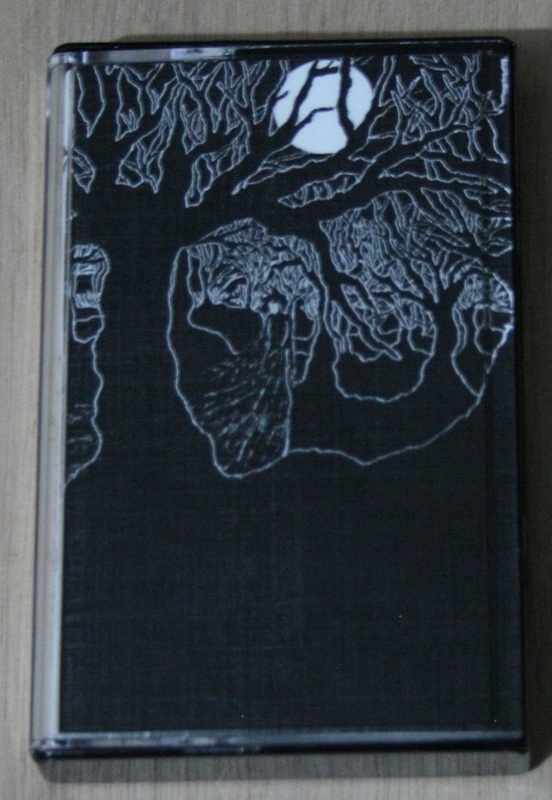 The front cover was drawn by Helcadura. It is released right now, june 2017, by Creations Of The Night on a pro-duplicated cassette. Each one of the 50 hand-numbered cassettes is handwritten, the j-cards and the lyrics inserts are individualy signed. All done with a silver marker. 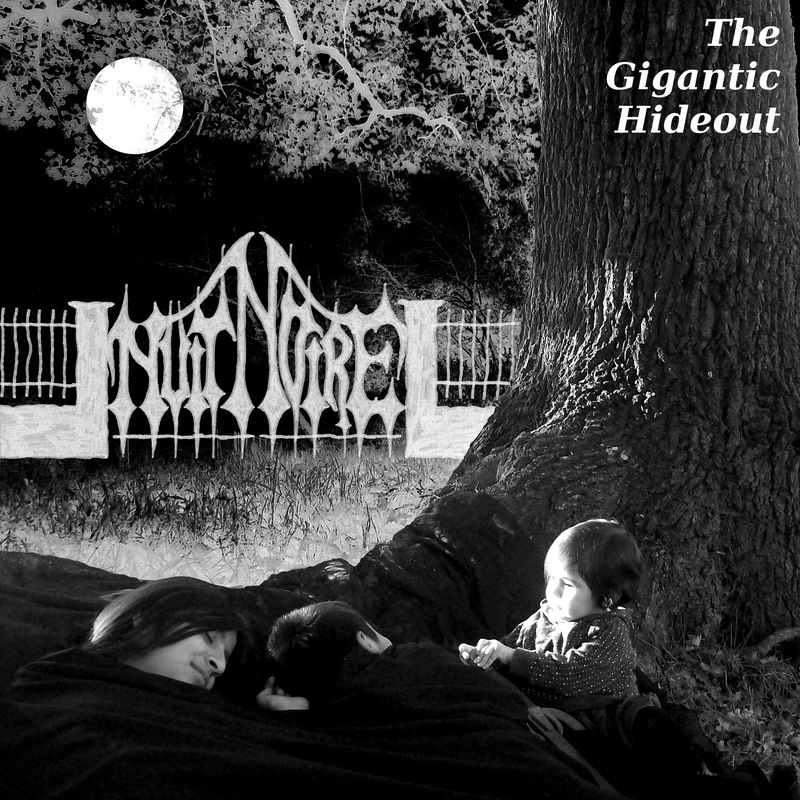 "The Gigantic Hideout" LP is no more available here but "Preposterous Creations" still have copies, and also copies of "Depths Of Night - Collection Of The Early Demo Tapes" 2-MC and of the Nuit Noire's patch as well. Another thing, I finished the recording of the next release "A Beautiful Belief" One-Sided-LP and transmitted all the material to the label "Prison Tatt" in october. 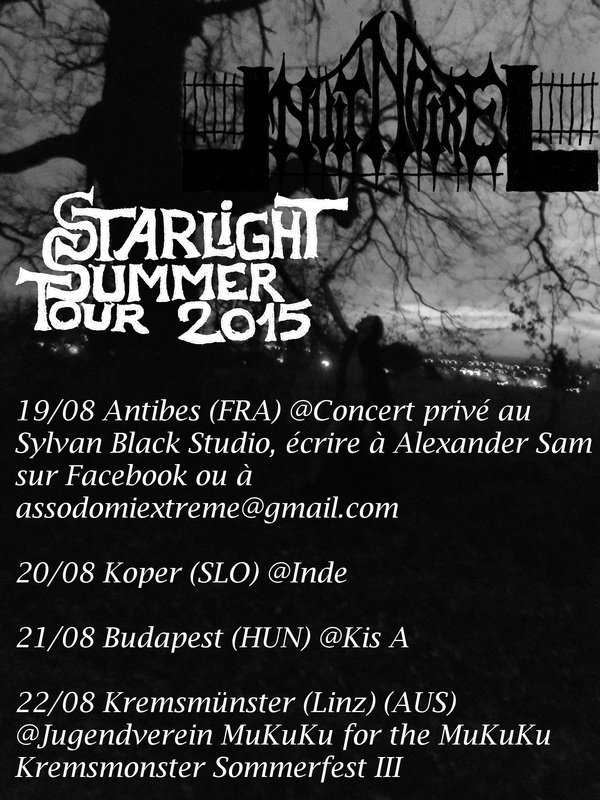 Big thanks to all the people who showed up at the tour, this April 2013 Tour was a success (at the scale of Nuit Noire of course) and a date in Budapest could even be added on the thursday 25 although the tour was already started, it was great! 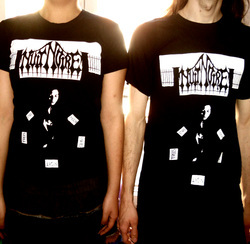 Here is the new t-shirt of Nuit Noire, available in every size and girly, more details in the "shop" section. 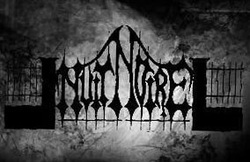 Trist/Nuit Noire split-ep & Pleine Lune tape are available here, go check in the "shop" section! 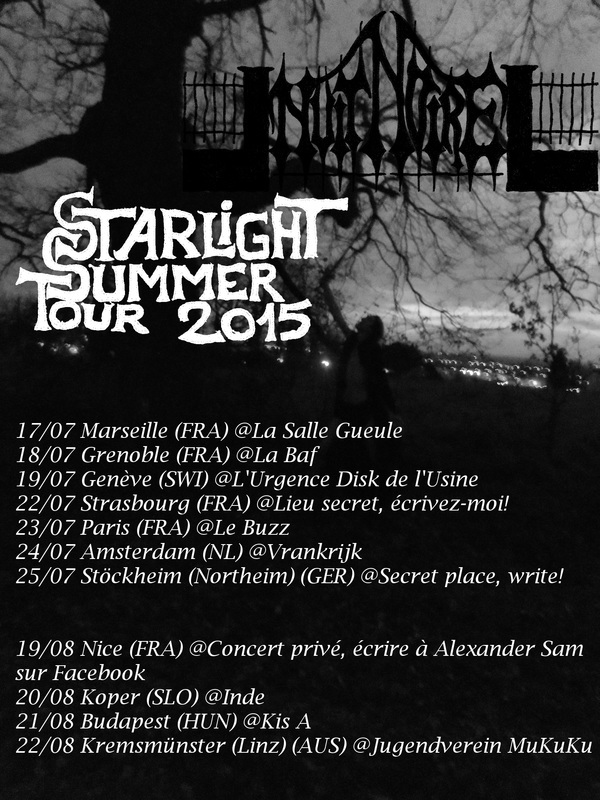 Trist/Nuit Noire split-ep is out! Self described faerical blasting punk. 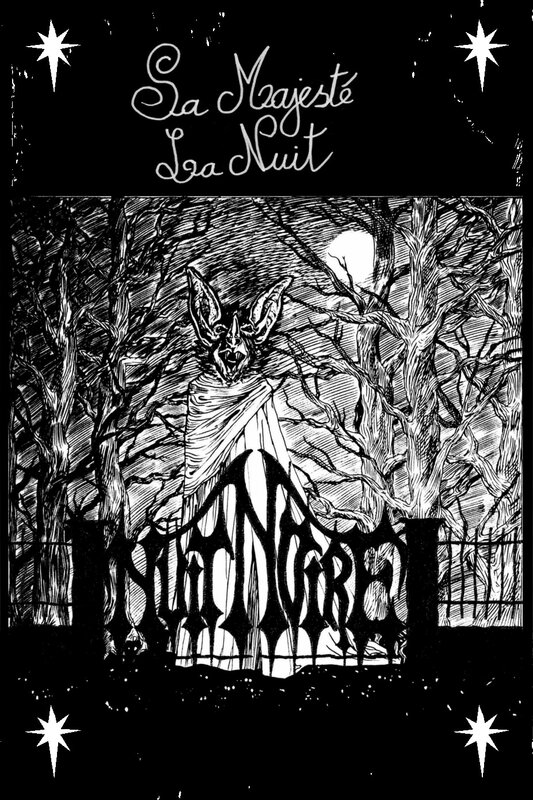 Skirting on the edges of black metal, Nuit Noire brings us four unreleased recordings of night-obsessed songs, both raw and charming. Recorded in 2010, Tenebras' more rudimentary and stripped down approach nicely bridges the old to the new. Xerox prints on linen paper. Comes with 1" pin. The Gigantic Hideout is still available! Check at the Shop section for details.